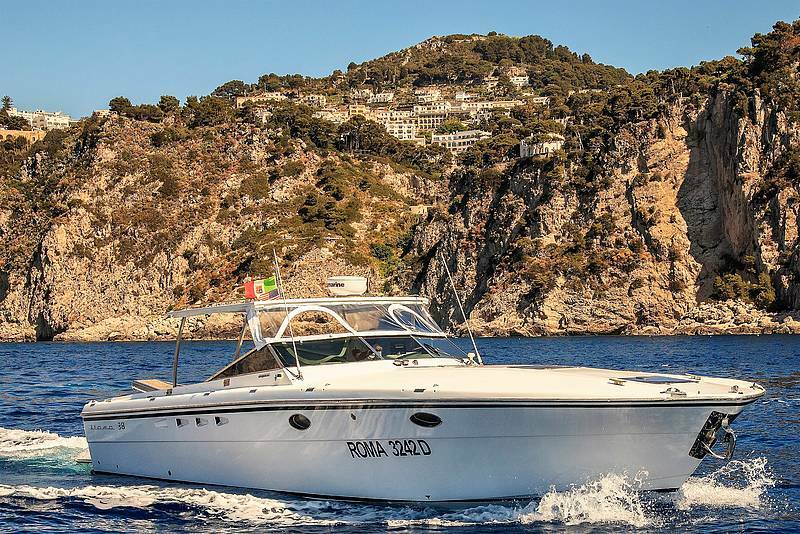 Enjoy the sea of Capri with the elegant luxury of an italian open motorboat. 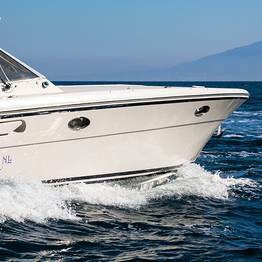 The "Itama 38" (12 mt) have private cabin, mini-bar, wc, sunbathing area with cushions and comfortable sofas where you can admire the panorama. All you need for your relaxing day. The tour starts from the port of Capri. 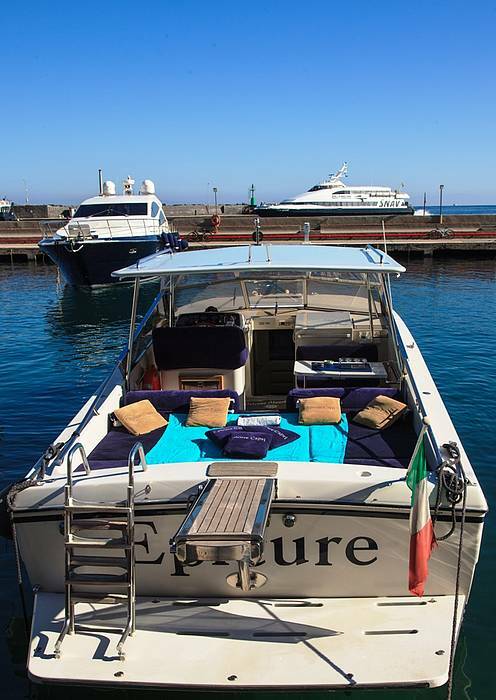 The meeting point is located in our office on the port of Capri (Marina Grande) in via Cristoforo Colombo, 34. 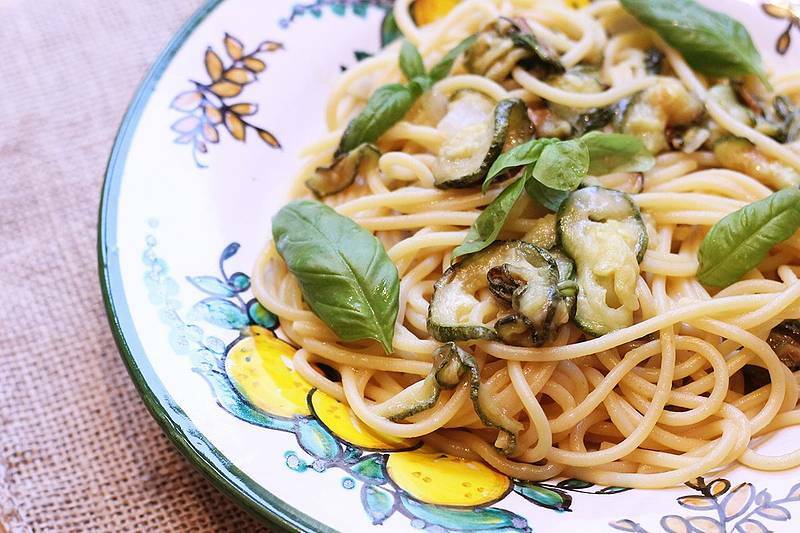 It is possible to plan a stop for lunch in one of the restaurants along the coast. The tour may be canceled with no charge at least 24 hours in advance or in case of adverse weather and sea conditions. You will not be charged in advance any amount on your credit card. We will charge the full amount in case of no-show. Payment will be made in our office on the day of service before the boarding formalities by cash or credit card. 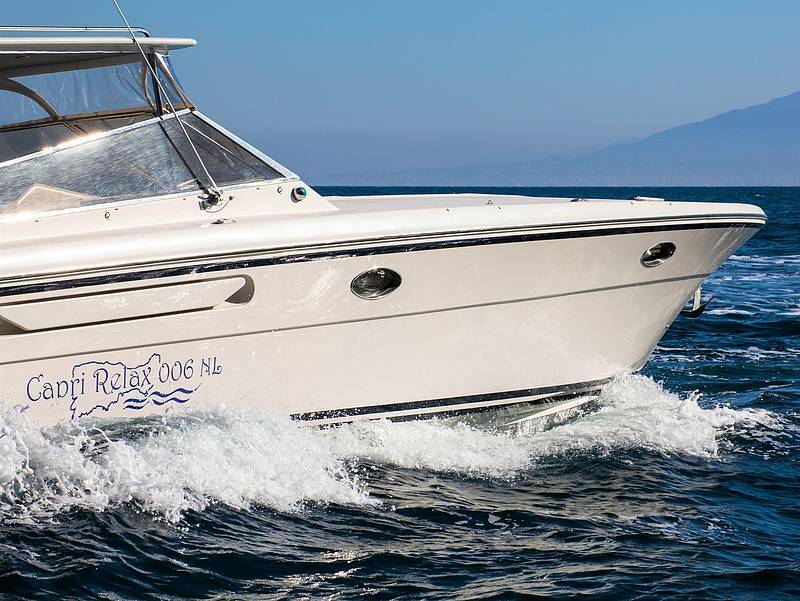 "My family really enjoyed the trip and it was well worth the extra to have the boat to ourselves. A truly fantastic way to spend an afternoon. 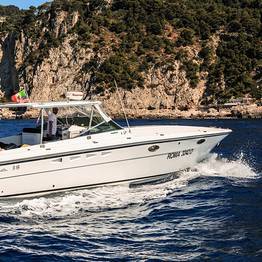 Thanks Capri Relax Boats you have my total recommendation." "I have never done the same excursion twice, but if I were ever going to do one twice, this would be it." "Highlight of our trip! Loved every minute of it! Our skipper was knowledgeable and made us feel very relaxed. Easy to book and I would highly recommend booking a cruise with them if you go to Cari! " "Excellent service. Knowledgeable and skilled captain and searless booking. Would strongly recommend "
"We had a fantastic day with peter petro as our captain. On time safety was good towels provided and it was the highlight of our trip we'd love to just go around the island again all day on the boat "
"Beautiful day , a great memory for my teens and parents. Jumping off boat and cave swimming . Loved this ! A highlight to Italy !" "Gino was the best! We had a great time with him. It was the perfect day. Capri is such a magical place ! 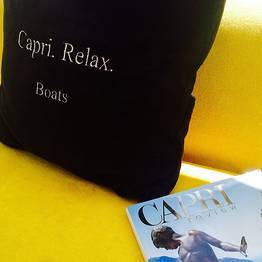 When we come back, we will be sure to book with Capri Relax Boats again!!" "Andrea was attentive and pleasant during the booking process. Our captain, Cristof was great! Swimming in the green grotto was the highlight of our trip. We highly recommend this company." "excellent trip! we loved it! captain Chris was knowledgeable and Handsome! we swam in the green grotto and Blue grotto. just wonderful and unforgettable "
"Perfect service and staff. " "Excellent communication and reactivity from Andrea! Will book again!" "it was a great way to start our trip in Capri, very relaxing indeed!" "Everything was absolutely PERFECT!!!!!!!!! Thanks you so much!" "Excellent service! Definitely made arrival to Capri easy, fun and effortless! Would highly recommend! " "You made our trip unforgettable. :)"
"Excellent service very professional !" "Fué la mejor experiencia de Capri. Ver la isla desde el mar es maravilloso. poder bañarte en la gruta verde, o en la blanca. Cristian nuestro patrón fué majísimo- Nos explicaba todo y nos hacía fotos"
"Very pleased with the service. Will definitely use your company again when next in Capri." 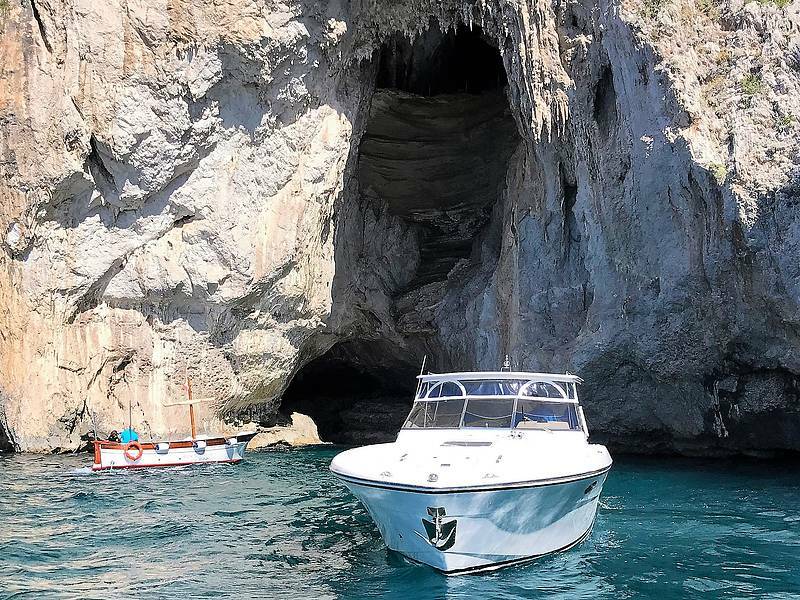 "Will never use a ferry again lol"
Maria De La Rosa D.
"BEAUTIFUL EXPERIECE AND GREAT MEMORIES FOR OUR TAMILY"
"Capri is a magic place , ans the boat day was my favorite . Great experience whith a very polite crew .... I will do again for sure !!!!" "The tour lived up to its name: Relax Boat Tours. Thank you Gino for making this a perfect day." "Seeing the beautiful island of Capri by private boat was the highlight of my study abroad trip thus far! I would recommend this service for anyone trying to relax, drink some wine, and enjoy the views"
"We loved Gino and had an amazing time! I have no complaints! I will definitely book again in the future. Thank you again. " "This is a MUST at Capri. Hands down our favorite part of our Italy trip. I would absolutely do it again and recommend others! Thank you so much for making our trip so special! " "Best part of our trip! 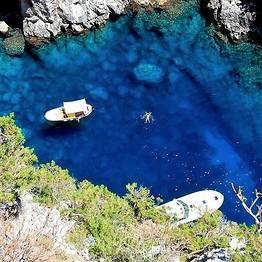 I will definitely recommend your company to any one I know that is going to Capri or to Positano. " 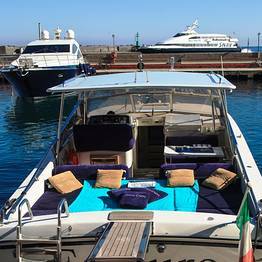 "Simply wonderful experience...Christian who was our capitan/guide ws personable, passionate about the sea and very easy to be with...he truly enhanced our vacation experience...bellissimo!" "It was an absolutely amazing experience! It was the perfect way to end our trip in Europe, could not have asked for better service. The boat was beautiful! " 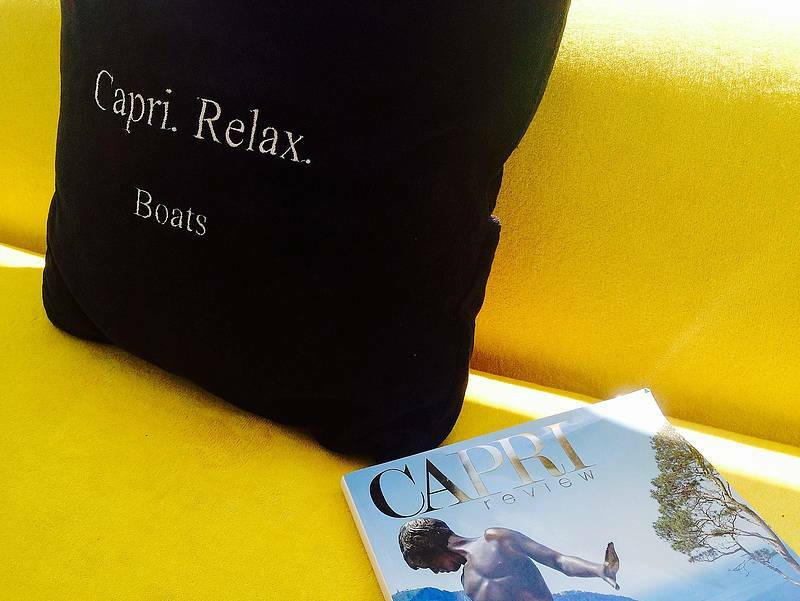 "We had such a wonderful day with Capri Relax boats! One of our favorite highlights of the trip - Marcelo was a fantastic navigator and made the trip that more enjoyable! " "OUSTANDING. CANNOT WAIT TO COME BACK. WHAT A WONDERFUL TIME. GINO WAS AMAZING!" "What a fantastic way to see the island. The guide was very skilful and knowledgeable and made the trip so enjoyable. What a perfect honeymoon treat! Would recommend to anyone!!!" "Had a great time! Wonderful way to see the island. Marcelo was an excellent guide. " "The boat tour was definitely a high light on our visit to this lovely island. Nuncio our guide was Informative and entertaining. The booking process was easy and professional." "The 4 Hr trip was one of the best holiday trips we have been on. Our skipper made the trip for us with his local knowledge." "Amazing experience!!! Christopher was a fantastic captain! Our favorite day in Italy by far, such a beautiful, relaxing, and fun excursion. Would recommend this to everyone!" 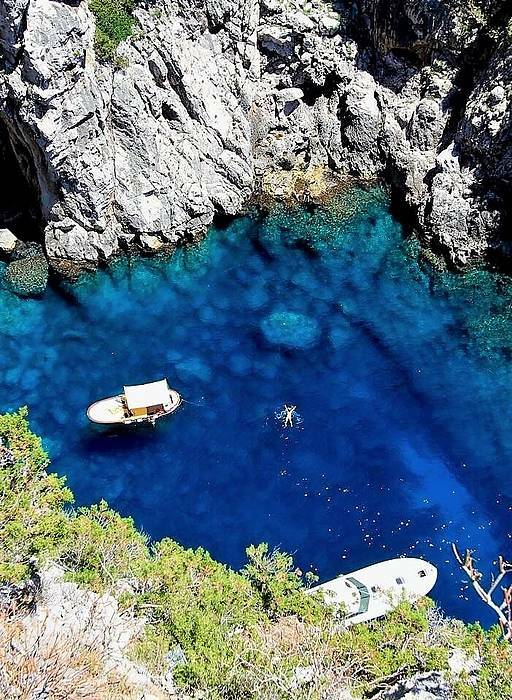 "We also had a great day, getting into the blue grotto was always on my bucket list, now I can cross it off!" "Wonderful relaxing boat tour! I could not ask for anything better. Best part of our trip!" "We had an amazing time in Capri. The boat tour was so professional and our driver Andrea wasfriendlg and extremely knowledgeable. I would reccomend to anyone who wants to see the Blue Grotto! Great!!!" 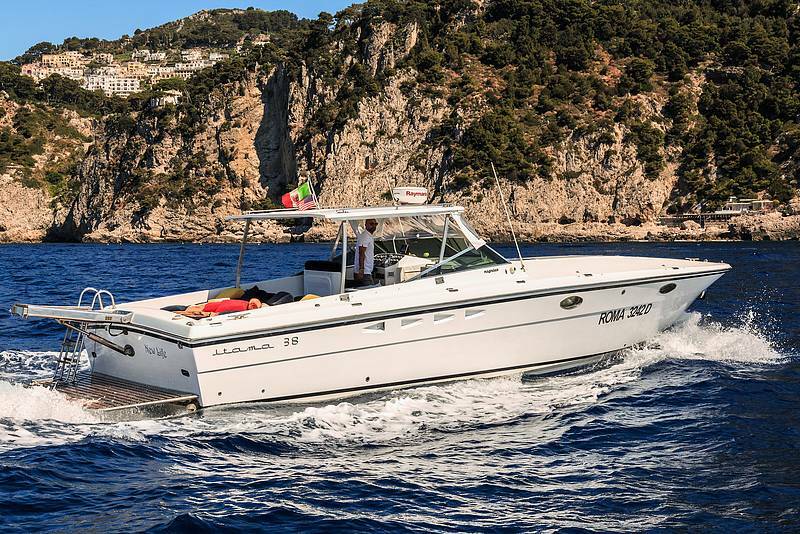 "This experience on Capri was one of our families highlights of the trip. Our captain Antonio was absolutely wonderful, informative, genuine, and professional. We felt like VIP's! The best! " "Americo was a wonderful guide and absolutely made our day and experience. 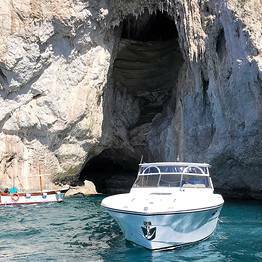 I would recommend this company/trip to anyone visiting Capri. Excellent experience!" "Greatl 4-hrs with Christian as our captain. We were able to see everything, visit the Blue Grotto, and more. Suggestion: Have ice in the cooler or explain on the website more about what is on boat." 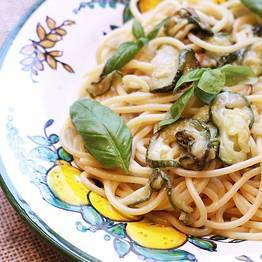 "It was the highlight of our trip to the Amalfi Coast and Capri. Christian was friendly,informative and passionate about Capri. Absolutely beautiful island, and a fun trip with swimming and relaxing." "Such a great day... Marcelo was our skipper and he really made it fun... beautiful weather and the sea was amazing. Would highly recommend it!" 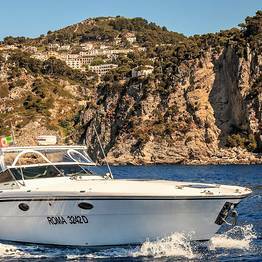 "We had a glorious day with Marcelo sailing around Capri and to Positano. It was so relaxing with Marcelo ensuring we were comfortable. We had a lot of fun and the whole day exceeded our expectations!!" "The trip was beautiful. However we only had one short swim and did not get to swim in any grotto. Also we paid for a four hour trip and we returned a half hour early at 530 instead of six. " "Wonderful experience and very relaxing. We also were able to pull into the Blue Grotto and get in with no wait. Fantastic and highly recommended!" 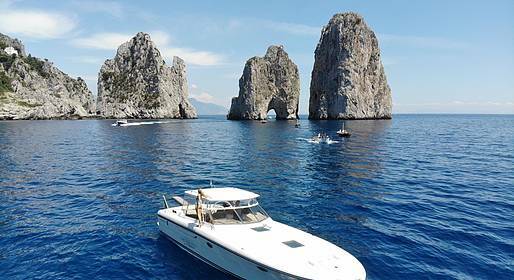 "Thank you so much Capri Relax Tours, although the weather was unusually against us, we had the most beautiful day. We travelled on the 26th April 2016. Highly recommended. Kay& Peter (Australia) "